Prepare this recipe by seasoning the raw steak with salt and pepper. Cook the steak over medium high on a non-stick surface until browned. Remove the meat from the skillet or grill and allow to cool. After the steak has cooled, cut into 1-inch size cubes, set aside. 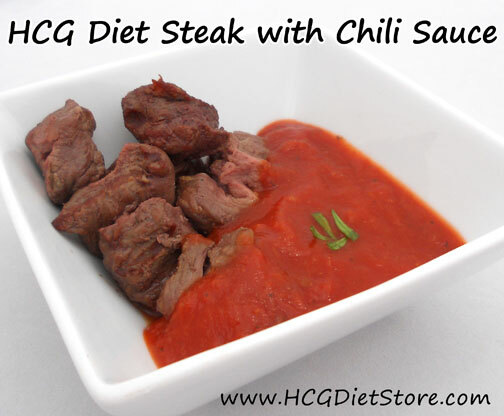 Place chili sauce, garlic, cumin, and onion powder into a small sauce pan over low-medium heat. Stir all the ingredients together, cover with lid, and simmer for 10 to 15 minutes. Stirring every 2-3 minutes. Remove the sauce from heat and serve with the steak cubes.